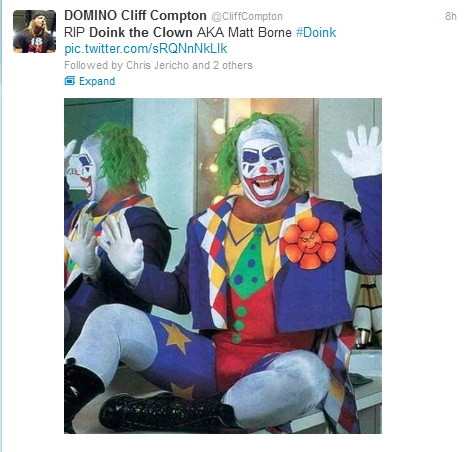 News hit today about the passing of Matt Osborne, aka the original Doink the Clown. 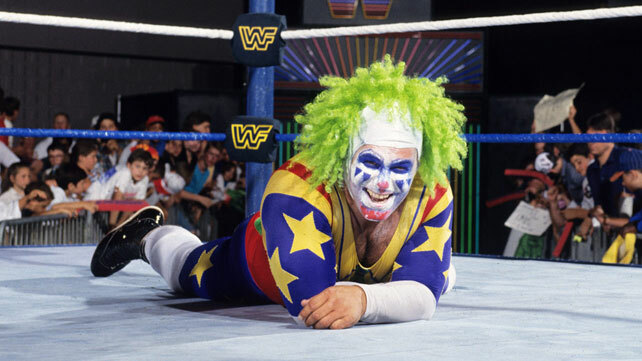 “A rugged brawler in promotions like Mid-South Wrestling and World Championship Wrestling, Osborne made a major impact in WWE under the greasepaint of a prankster named Doink — one of the most enduring personas of the early ’90s. 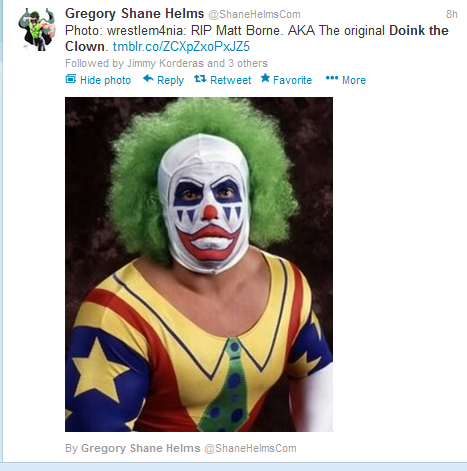 The cause of death is still unknown at this time, however TMZ is reporting their sources say his death was accidental (http://www.tmz.com/2013/06/28/doink-the-clown-wwe-wrestler-matt-osborne/). Osborne was 55 years old. 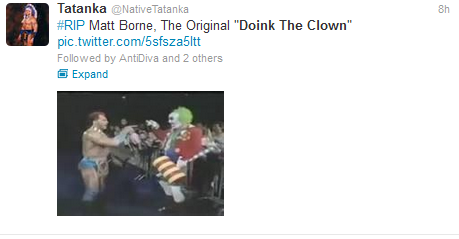 Tags: Doink, Doink the Clown, Matt Osborne, Osborne, World Championship Wrestling, wrestling, WWE. Bookmark the permalink.